This model covers all the important structures of the human eye. 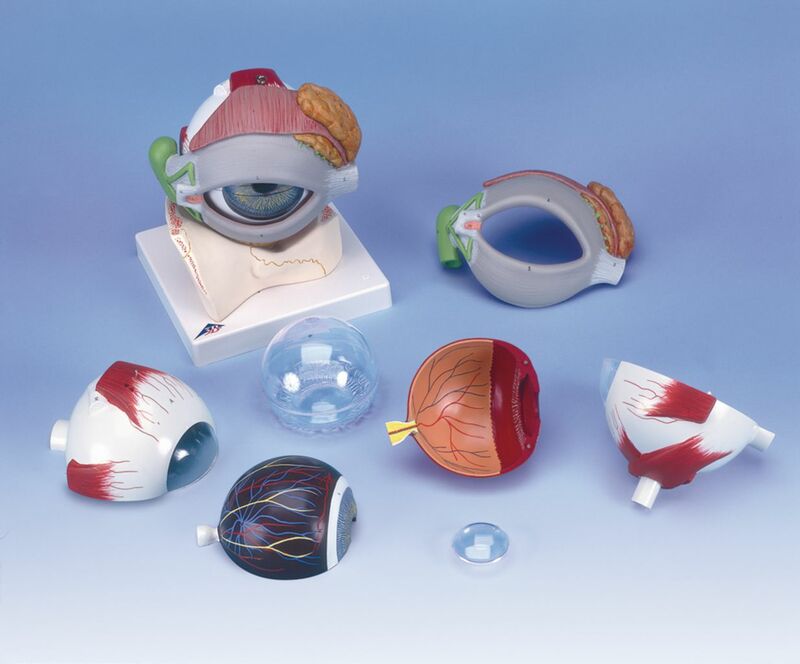 Removable parts of the model include the upper half of the sclera with cornea and eye muscle attachments, both halves of choroid with iris and retina, eye lens, vitreous humor, eyelid, lachrymal system, and anatomical features around the eyeball. The eye sits inside a bony orbit base.